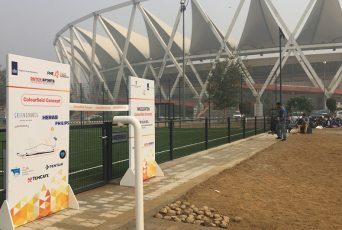 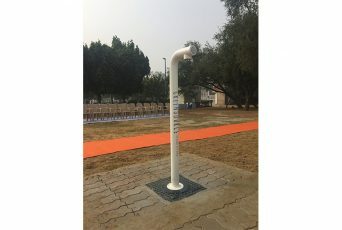 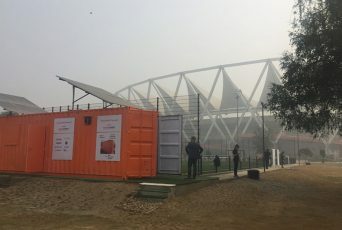 In a bilateral partnership between the Indian Government, the Dutch Government and a Dutch consortium of companies working under the organization Dutch Sports Infrastructure (DSI), India and the Netherlands launched the first Colourfield at JLN Stadium in New Delhi. 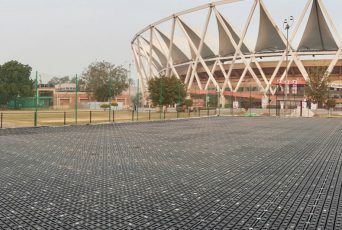 Colourfield is a multi-functional, sustainable, mini sports arena that combines a social sports education program with a high level innovative multi-sports facility, including a solar lighting center and the Greensource system. 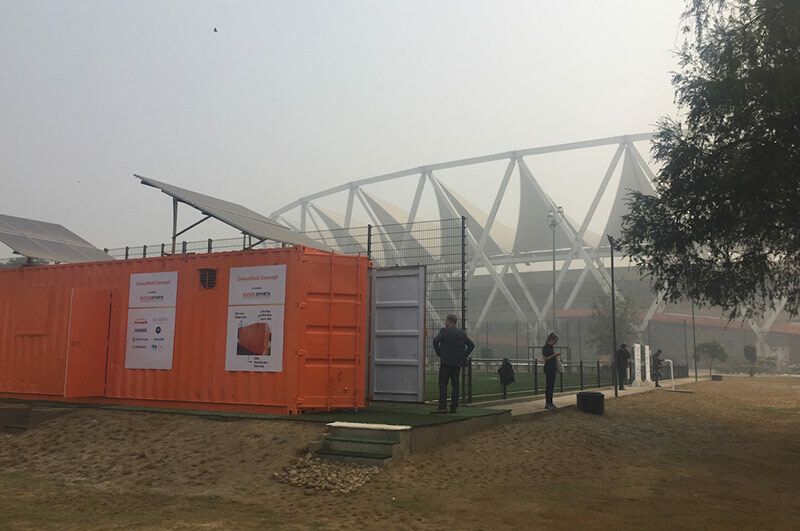 The field exemplifies Dutch innovative technology, as well as the best practices that have been customized according to the Indian context. 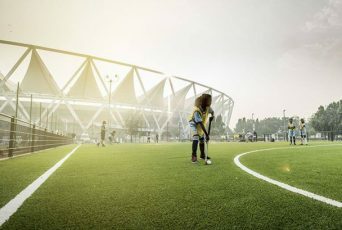 Owing to India’s ambition of hosting big sporting events in the future, the Indian government endeavors to promote sports in the country, among others, at grassroots level. 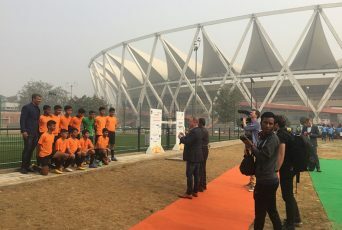 So with the aim of exchanging knowledge on innovative sports infrastructure, research and coaching, the concept of Colourfield came into fruition with support from the Netherlands Government, Sports Authority of India, Dutch Sports Infrastructure and other stakeholders. 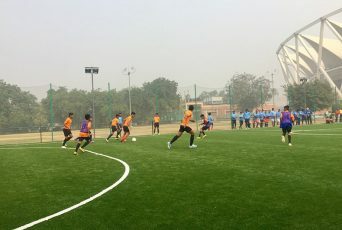 This initiative is propelled by the Embassy of the Kingdom of Netherlands in India as part of the MoU signed between the Ministry (MYAS) and the Ministry of Health, Welfare and Sport of Netherlands on 30th January, 2014. 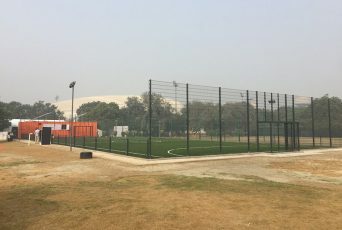 The Colourfield concept was inaugurated by the Minister of Youth Affairs and Sports of India, Sports Authority of India, The Netherlands Embassy and Dutch Sports Infrastructure at Jawahar Lal Nehru (JLN) Stadium, New Delhi on 1st December, 2016.